Hourglass tattoos have been very common in the artistic industry for a long time. Though considered to be obsolete, this form of tattooing continue to represent time. Time is a key resource to every individual hence making the tattoo to continue being used though not being recognized by pages of history. This symbolic tattoo teaches us the value for time and hence much beneficial to the society at large. There are very many people in the society that do not understand how valuable time is. In fact, they find themselves engaging in activities that do not add value to their lives thinking they will recover later in life. They find themselves regretting later when they find time is not on their side and its too late for them to achieve their ambitions and dreams. Therefore, this is a tattoo that is very ideal for everyone who understand the value of time. There are various types of tattoos which have been adopted in the past that are so valuable with in depth meaning. Though mainly used to symbolize time, they can be used for other meanings like life, earth, death, earth, life cycles, ending, new beginning, power, e.t.c. It is not limited to any gender although its hourglass shape portrays more of the woman body than man’s. Having an hour glass with bat wings, it is good indication that time is flying. This goes hand in hand with the saying “time waits for no man.”. This acts as a constant reminder to everyone who sees the tattoo that death is approaching. It is very important because once you are reminded that death is approaching, you put all your efforts to achieve all the targets and goals you have while on earth. This tattoo comes out well when some appealing fonts are added to it. This another simple but very attractive tattoo. It is made from a combination of hourglass and the roses. It has great meaning which is derived from the smell of the roses. It means you should take time to smell the roses. In simple terms, it symbolizes one should take time to enjoy the sweet time he or she has while still alive. These tattoos are amazing in terms of their meaning. We can take a lot of lesson from them. Since the hourglass contains sand which are used to measure time, in this design, money is used instead. The best shape is achieved when the tattoo is done curved on a persons hand. 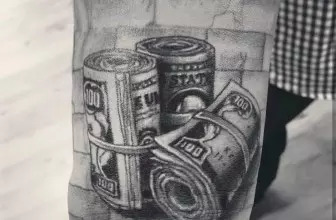 The main meaning for this tattoo is that it takes time to earn money. This is very relevant for those people who are very impatient with themselves because of lacking money. The moment you see this tattoo, it lingers at the back of your mind that it takes time to earn money. What a great lesson and beautiful design. “Carpe Diem” is a phrase that refers how time directly interacts with our life. Meaning, everyone must take every opportunity that comes his or her way. An opportunity lost cannot be recovered and it makes no sense complaining while the opportunity is gone. Therefore, we must grab it once it comes our way and get the best out of it. This tattoo is inspirational and its element are so nice when done on ones hand. This tattoo is made up of an hourglass with an eye on the upper chamber and the phrase “See the World”. At the lower chamber, an image of the world is added. This classy tattoo is used to bring out the message that people should open up their eyes and minds and see the many opportunities and ventures that the world holds. They are many people who are hopeless but if they looked at the world keenly, they would spot opportunities that would change their life. This is another tattoo that symbolizes death. Once the sands that are used to measure time by dropping down the necklace ends, death becomes unavoidable. It is important to always know that death will come at a certain time in life and thus very important to be prepared. Doing the best any time you have an opportunity before the time comes when you will not any chance. 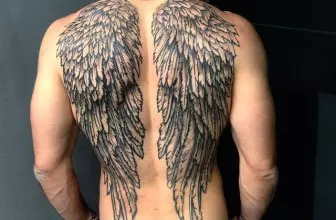 This kind of tattoo is composed of a hourglass with blue wings and mainly have a shape of the heart and could have the name of person. It is normally tattooed at the chest and looks so beautiful especially on ladies. It is symbolic since it is used by loving partners to remind their partners that time is flying and the should love them when they have the time before it is too late. Many are the time people regret not giving the best to their partners when they are long gone, but this tattoo acts as a reminder. This phrase is used with an hour glass to show that everything keep changing and as things change, time is also tickling down. Therefore, it is important to change as things change so that you don’t find becoming obsolete or left behind while others have already progressed. Again, this is motivating tattoo with a powerful message. The above mentioned designs are just a highlight of many more tattoos. It is therefore advisable if you choose to have one made on your body, do a thorough research about it. It is important to understand its meaning so that you only bring out the message you intended from the beginning. Otherwise, hourglass tattoos stand out to be one of the tattoos that have strong meaning in life that is motivating and which could cause a positive change to a persons life. It is always good to expose to the public only what adds value to them and this kind of tattooing can work best on that.